Set largely in a Swiss spa, and focusing on the friendship between Fred (Michael Caine) and Mick (Harvey Keitel. Fred resisting attempts to revive his greatest work as a composer and Mick trying to make a comeback movie. The stars gathering for the media prior to the screening of their movies at the Festival: ROOM and YOUTH. An intense drama that traces the story of the foot soldiers of the early feminist movement as they fought for the right to vote, led by Maud (Carey Mulligan)despite the objections from her husband. Bryan Cranston as the black-listed screenwriter Dalton Trumbo who fought for his political beliefs and won an ally in Kirk Douglas that insisted on him being credited for writing Spartacus. Winner for Best Director at Cannes, The Assassin is a ravishing martial arts movie with a spectacular performance by Shi Qui. Marlon Brando reveals himself posthumously as he never did from an extraordinary archive of audio recordings, film footage and rare photos. A wonderful insight to one of the greatest film actors of all-time. 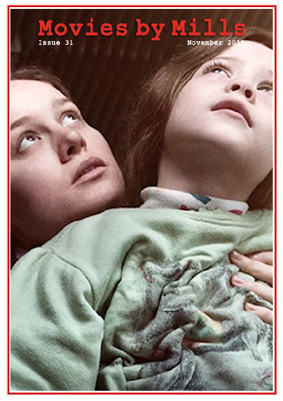 Based on the best-selling book about a mother and her young son held captive in an 11 square-foot room. A run down of the film festival awards. The true story of Whitey Bulger, the most infamous and violent criminal, who became an FBI informant. In a near future, singledom is outlawed. Anyone not successfully paired up must report to The Hotel, where they have 45 days to find a mate or be transformed into an animal and released into The Woods. A highly personal offering from one of France?s most individual film directors. An honest love story about two women who courageously defy the suffering conformities of mid-century America. Cate Blanchett as Mary Mapes, producer of Dan Rather?s 60 Minutes, which came under fire on its claims that George W Bush's avoidance of being drafted to Vietnam.